Today I’m sharing the BEST Chocolate Cupcake recipe with you from scratch! We’re talking ultra moist, fluffy, and perfectly chocolatey cupcakes! Mmmmm. Make these once, and your going to want to come back to this recipe again and again. 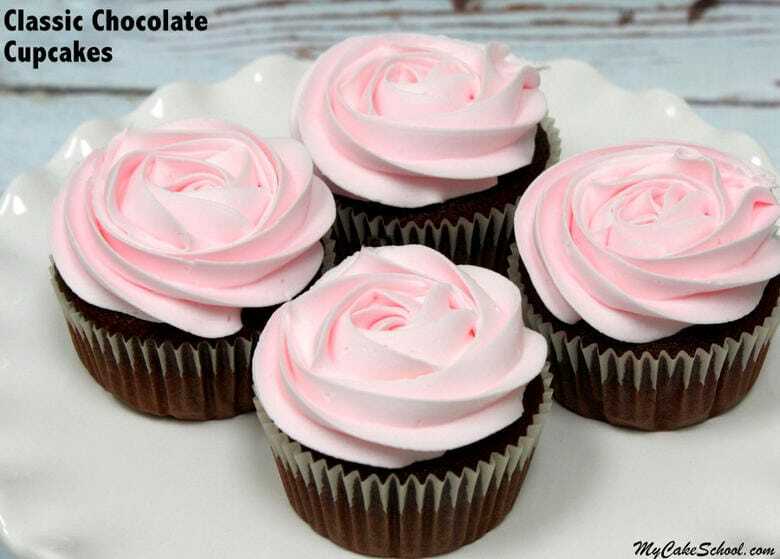 Don’t let the title of this post fool you, this amazing chocolate cupcake recipe can be used for chocolate layer cakes too! If you’ve explored our Recipes Section, you may be familiar with our favorite Classic Chocolate Cake recipe. This homemade chocolate cake has been one of our most popular cake recipes over the years, and is our go-to when we need a rich, decadent chocolate cake. 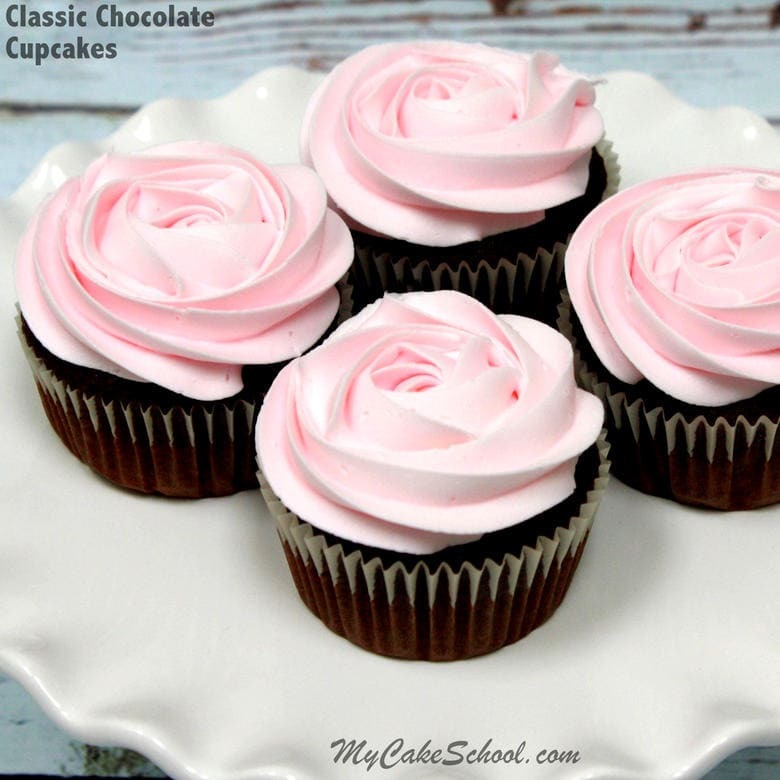 Today’s featured classic chocolate cupcake recipe is based on our popular chocolate cake recipe, but the mixing method is different. Instead of using the reverse creaming method of mixing as we do when making layers of classic chocolate cake, we use the conventional method of mixing for our cupcakes. This small change makes for fluffier cupcakes! Can these cupcakes be frozen? Yes they can! Our method of choice is to line them up onto a sheet cake board, lay a piece of plastic wrap on top, and then wrap in aluminum foil for up to three months. To thaw, leave the foil on the cupcakes but loosen each end so that it isn’t so tightly sealed. Condensation will form on the foil rather than the cupcakes. You can remove the wrapping once they are nearly thawed. Why is their coffee in this chocolate cake recipe? Can I leave it out? Coffee enhances the flavor of the chocolate in the recipe- but there is no coffee flavor. Yes, the coffee can be left out, and replaced with water instead. How can I prevent my cupcake liners from separating from the cupcakes? This is a question that we hear often about cupcakes in general. There are several possible culprits to this frustrating issue. First, do not store cupcakes in an airtight container. The trapped moisture can cause the liners to separate. Next, remove the cupcakes from their cupcake pans soon after removing from the oven. If you wait too long, the trapped moisture within the wells of the cupcake pan can cause the liners to loosen. Finally, some cake recipes seem more prone to this issue (likely due to excessive oil, etc. )…but this recipe is not one of those! We haven’t experienced separating liners with this cupcake recipe. These decadent scratch chocolate cupcakes are so moist and taste fantastic with all sorts of frostings from vanilla buttercream to mint chocolate chip, coconut, or chocolate! Preheat oven to 350 degrees. (If making a cake rather than cupcakes, grease and flour three 8 inch cake pans). In a separate bowl, add the flour, sifted cocoa, baking soda, baking powder and salt. Whisk to blend and set aside. 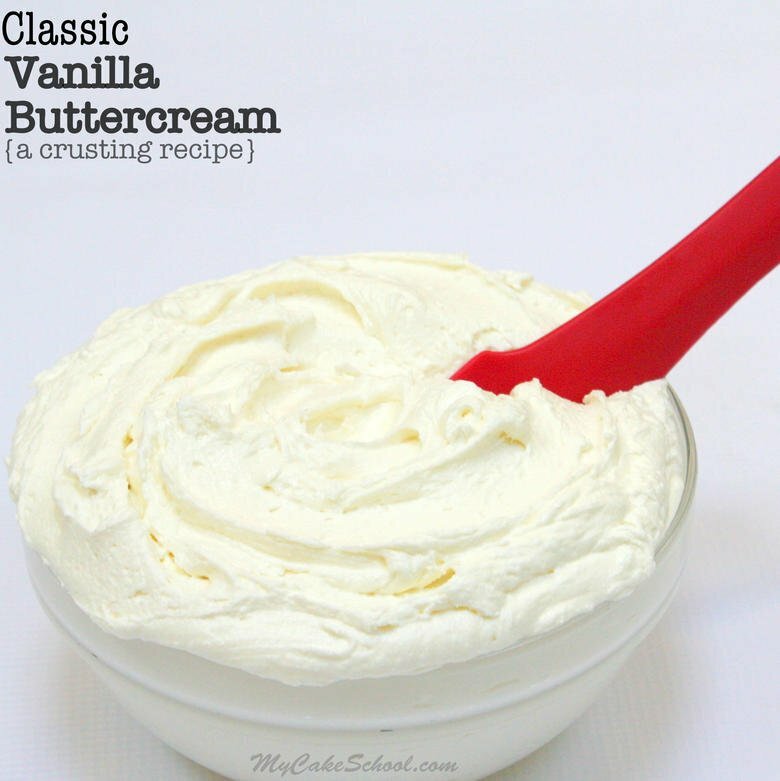 In the bowl of your mixer, beat the softened butter on medium speed until light and creamy. Add the oil and vanilla. Gradually add the sugar and mix until light and fluffy, approximately 4 to 5 minutes. Add the eggs 1 at a time, mixing after each egg just until the yellow disappears. Scrape down the sides and bottom of the bowl as needed. Add the cup of hot coffee at this time. The batter will be very thin. Don't worry this is how it should be. Pour into 3 prepared 8 inch pans. Bake at 350 degrees for 30 to 35 minutes. Check for doneness at 30 min. by putting a toothpick in the center of the cake. If it comes out clean or with only a few drums attached, it is done. Hi Michelle, Yes, that will be fine. We like to store ours in a bakery box. We don’t store in an airtight container, as this can sometimes cause the cupcake liners pull away. If you are storing in a plastic container just leave a small opening. The frosting seals the cupcake helping to keep them from drying out. They are very small so they are best eaten by the second day.